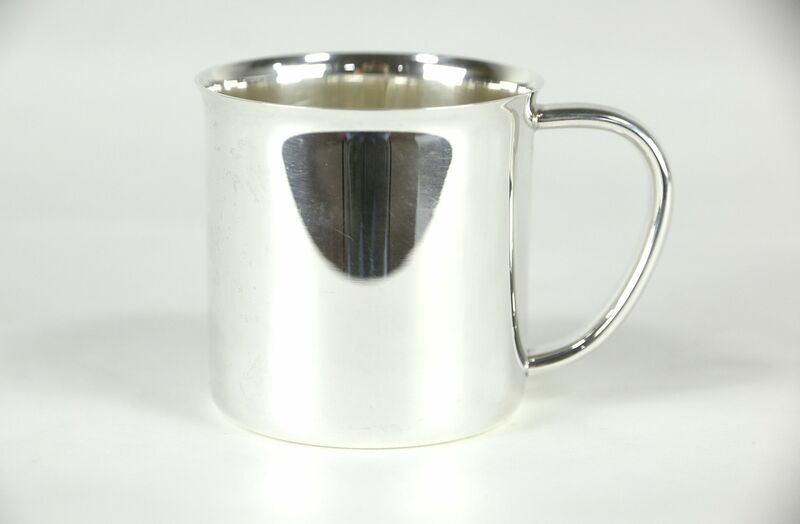 A heavy weight sterling silver baby or punch cup is signed by famous maker, "Towle." There is no monogram. Size is 2 1/2" diameter and 2 1/4" tall.